Do you wear long sleeves to cover unsightly bumps and redness on your arms? Are you hiding body acne? Millions of people suffer from skin ailments that are the result of environmental toxins, food allergies, stress disorders, and inadequate nutrition. Eating real food that is free from pesticides and man-made hormones can help heal your body from the inside out. We all want glowing, wrinkle-free, clear skin, but in order to look radiant and youthful, we must make intentional decisions about what we put in our bodies. Exercise also plays a role, as well as sunscreen, makeup, and cleansing. Here are some of our best tips for your most beautiful skin ever. One of my favorite experts in this area is Kimberly Snyder, C.N. Nutritionist for the Mind, Body and Soul. Her strategy for healthy living and glowing skin makes sense. . If you are disciplined, and follow Kimberly’s advice, you can see results without expensive beauty products or special foods. According to Kimberly, the first step to glowing skin is to detoxify. “Your skin is a reflection of your overall health. It is the body’s largest organ, and it is an elimination organ,” says Kimberly. Toxins inside your body can make the skin on the outside of your body look less than beautiful. When you eat foods with toxic ingredients, that’s naturally reflected in the state of your skin. Now, detoxing doesn’t necessarily mean drinking only hot water with lemon for a week; rather, it involves eliminating processed foods, sugar and caffeine for a few days while your skin gets a chance to regenerate. Strive for natural beauty and choose skin-friendly foods. Eat a fiber-rich, plant-based diet, full of organic fruits, vegetables, nuts, seeds, and legumes. Leafy greens, colorful fruits, and crunch nuts can help you to detox and revive skin cells. Exercise regularly (a good sweat can actually do wonders for the skin!) and avoid foods that are over-processed or contain man-made chemicals. Limit caffeine and drink plenty of fresh water. This will flush your system and make you feel great. Kimberly Snyder gives you more ideas for detoxing here. 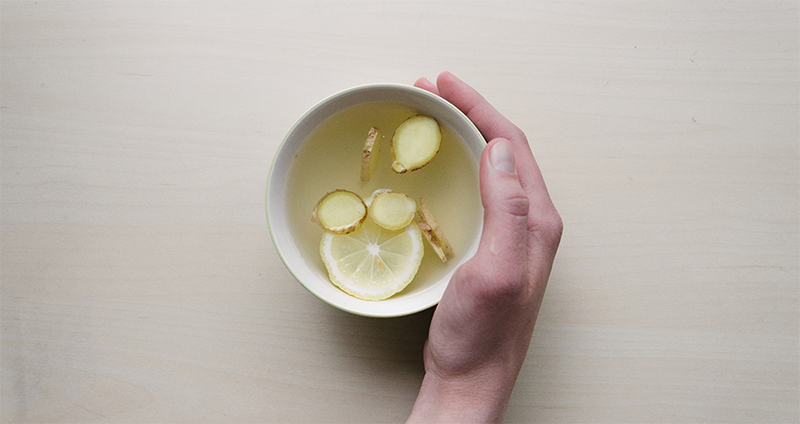 Begin with a detox tea – a cup of hot water with a squeeze of fresh organic lemon every morning. ½ cup organic steel-cut oatmeal, with a spoonful of blueberries and chopped walnuts. 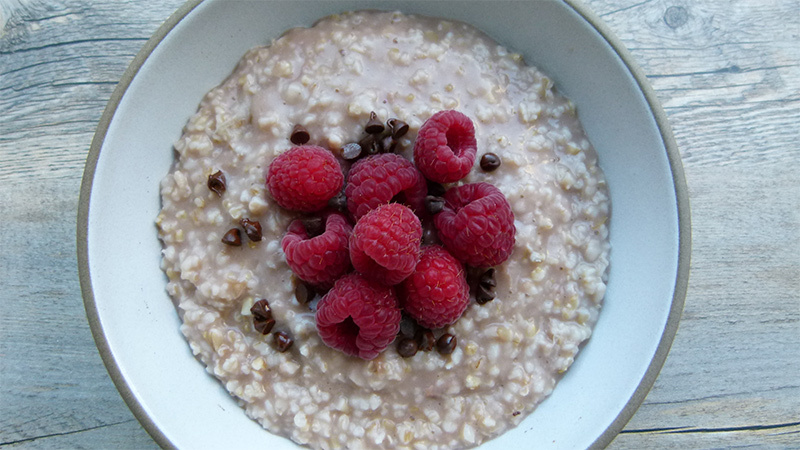 The fiber in oatmeal is great for cleansing, and blueberries are loaded with antioxidants that fight free-radicals. Walnuts are known for their Omega-3 fatty acids, which has been known to strength skin and help with the onset of new wrinkles. 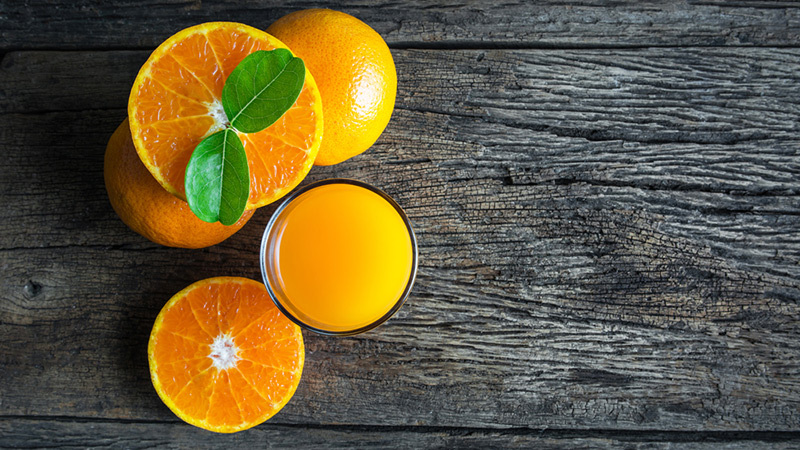 Citrus fruit has collagen-boosting vitamin C properties. A tangelo, orange, or grapefruit is the perfect mid-morning snack. 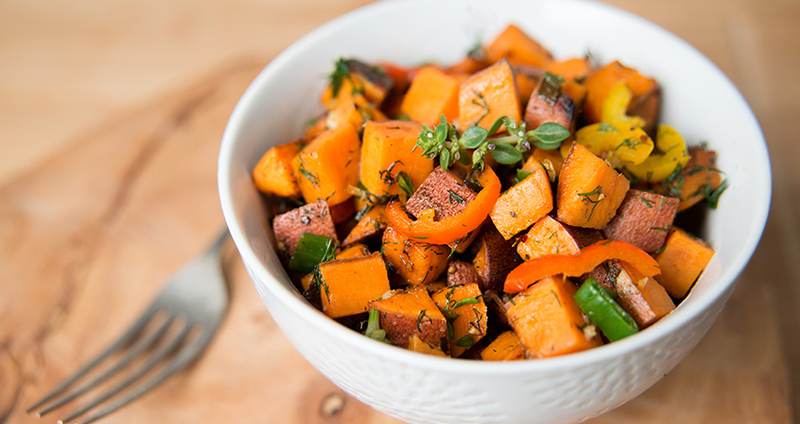 A baked sweet potato is a great lunch option. Filled with antioxidant vitamins A and E, sweet potatoes are a “royal root” loaded with skin-loving nutrients. Other clean-eating lunch ideas can be found here. A mid-afternoon pick-me-up snack is always a good idea. They say, “An apple a day keeps the doctor away!” Choose an organic yellow delicious apple. Slice it into wedges and enjoy with a glass of water or a cup of herbal tea. 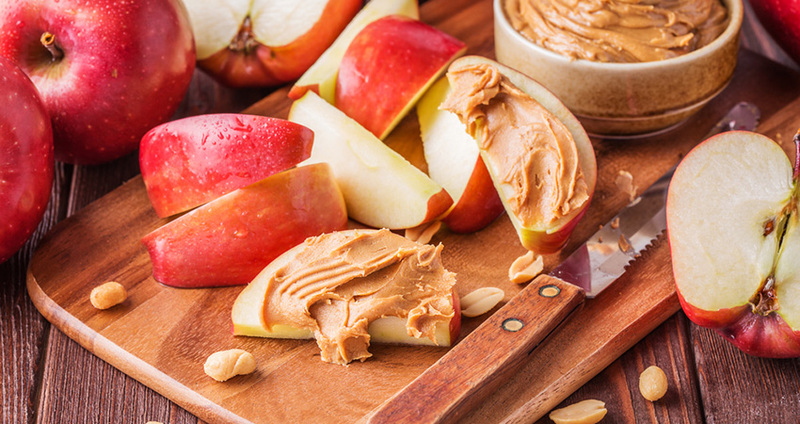 If you’re hitting the gym, consider adding some protein in the form of all-natural nut butters (no sugar added). 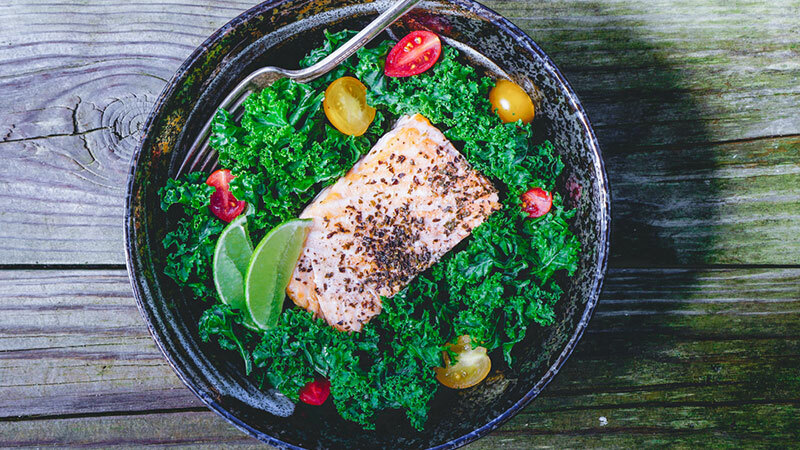 Make a fresh kale salad, with chia seeds, flaxseed, carrots, radishes – and your favorite add-ins. If you are an omnivore, salmon or lean chicken are good options. If you are a vegetarian, black beans made into a delicious burger go great with kale salad. 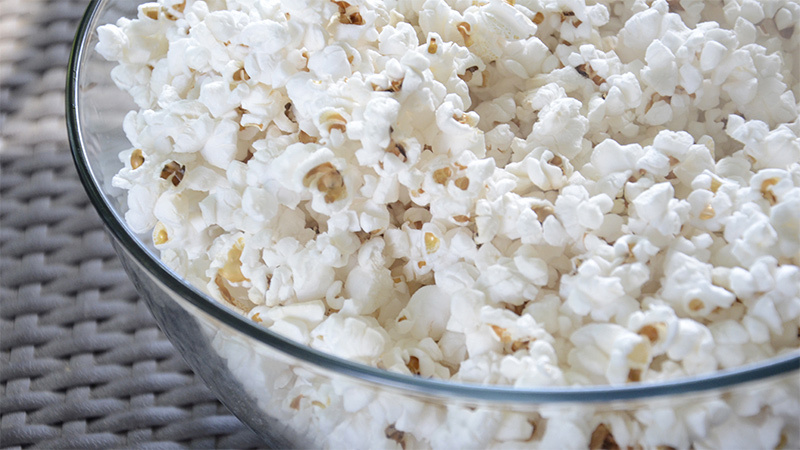 If you have a snack-attack a couple of hours after dinner – but at least three hours before bedtime, choose one cup of fresh organic air-popped popcorn. The crunch will keep you satisfied while the low-calories will keep you fit. We have to ask ourselves, is it better to see a woman who is wearing too much makeup or a woman who has a natural, glowing complexion? All makeup is not created equal, so we want to choose makeup that enhances our own natural beauty. Some makeups contain fillers and man-made ingredients that way the skin down and look goopy or older than you actually are. Opt for high-quality ingredients and matte finishes, and always remember to moisturize!